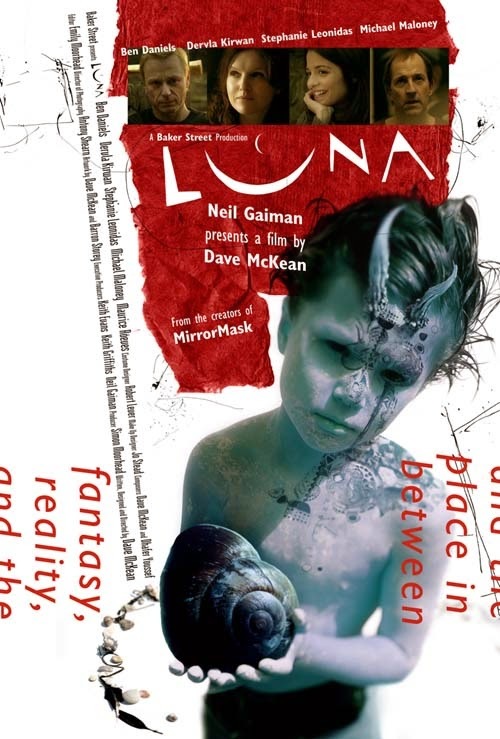 Dave McKean, best known for his collaborations with Neil Gaiman on Sandman, Hellblazer, and Arkham Asylum, follows up his 2005 fantasy film MirrorMask with Luna. Struggling after a major death in the family, Grant (Ben Daniels) and Christine (Dervla Kirwan) visit an old friend Dean (Michael Maloney) and his new girlfriend Freya (Stephanie Leonidas) at their cottage by the sea. Over the course of a long weekend, the four experience a series of hallucinatory dreams and visions, gorgeously envisioned and brought to life by McKean. Below are the trailer and posters for Luna, which plays this year's Toronto International Film Festival within the Vanguard programme. 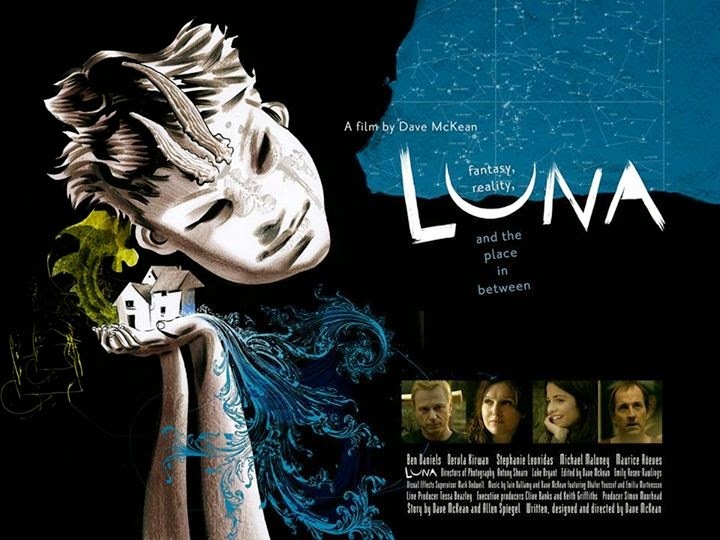 Further information about Luna can be found on the Festival website, as well as on the film's official website, Facebook page and Twitter account.